Whenever I am in need of a little pampering, but short on time, running to the spa isn’t an option or a cost-effective one. 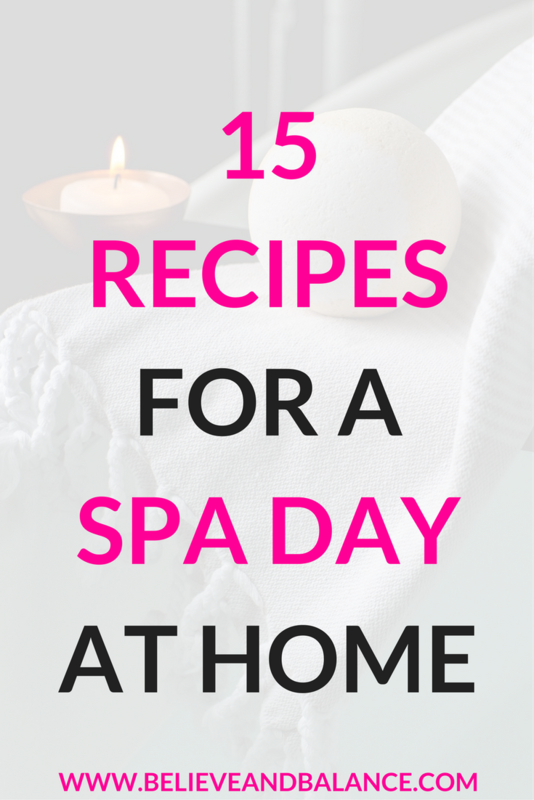 Instead, I love making my recipes at home and doing some DIY spa treatments at home! These cost much less than a day at the spa and are just as relaxing! Want a few more ideas on how to practice self-care at home? Check out one of my other blog posts: How To Create Your Own Self Care Plan! Do you have any favorite DIY spa day recipes? Share them in the comments below!